From 15/12/2018 to 27/04/2019, daily between 5 PM and 7 PM. Try this exciting new snow sport here in La Plagne. A mind blowing 5 kilometers ride from Aime 2000 all the way to La Roche. Enjoy the thrills of the newest après activity in resort. Sunday to Friday 5pm, once the ski lifts have closed. After a short instruction session accompanied by an instructor and a guide you will set off on a mind blowing 5 kilometers ride from Aime 2000 all the way to La Roche. 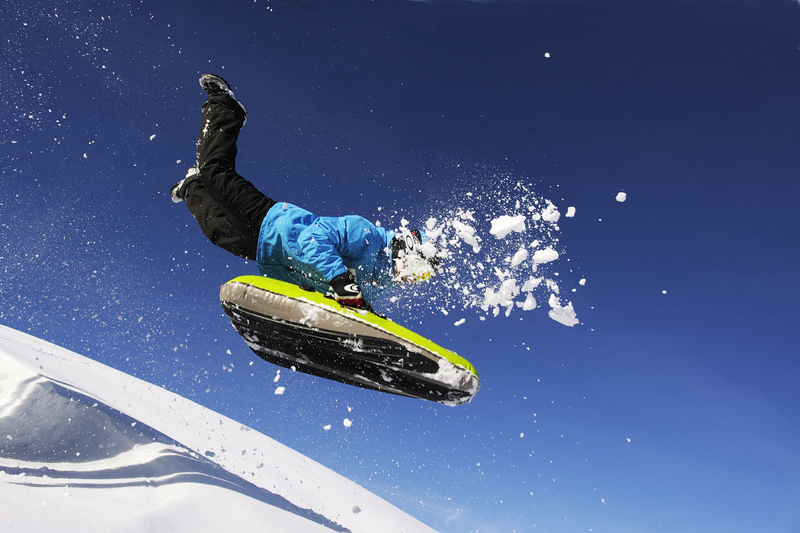 Floating across the snow on this fantastic inflatable body board you will experience the thrills of the newest après activity in resort. Easy to steer, stop and turn, you are guaranteed the ride of your life.